New collection of leather cases for iPad Pro 9.7, 10.5, 11 and 12.9" 2018, Air 3 2019, Mini 5 is made in Italy! What is this about? Introducing ACROSS and PLATFORMA - two products that allow you to work on your iPad tablet while standing up - hands free. By "hands free" we mean using both hands to operate the device. 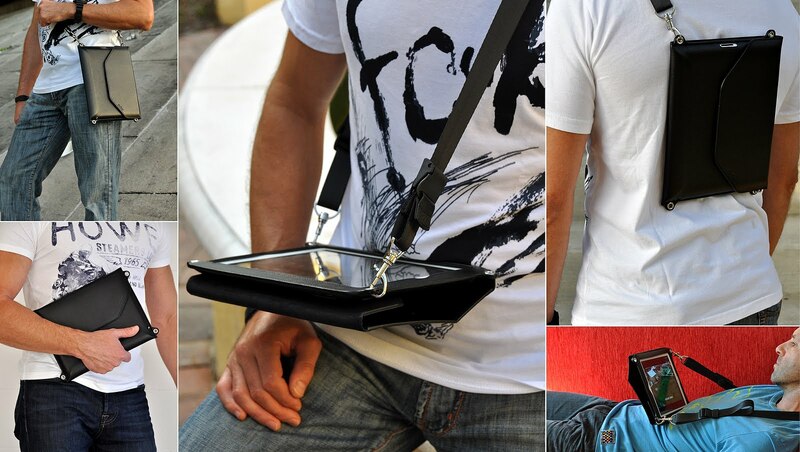 The iPad is cleverly suspended by a shoulder strap, you do not have to hold it. "Free your hands", as our slogan says. 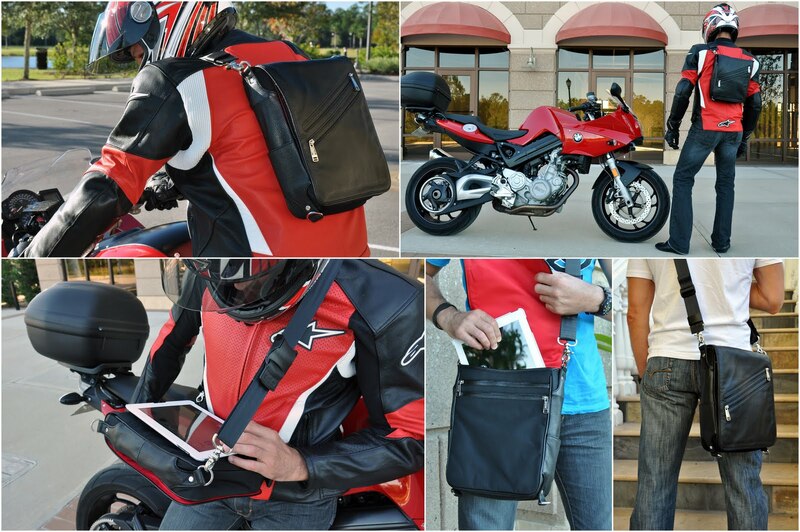 ACROSS is a tight fitting flat case, and PLATFORMA is a convertible vertical messenger bag. You can wear both as backpacks, too. The transformation takes just seconds. You have to watch the videos to understand how our bags and cases work. You will be surprised. Promise. Who uses our products? Our customers are frequent travelers, commuters of all kinds, medical professionals, students, teachers, photographers, architects, journalists, motorcyclists, pilots, construction and survey personnel, field sales staff, real estate agents, home inspectors, property appraisers, insurance adjusters - anyone who needs a convenient carry option, instant access, an ability to use the tablet without a desk, and a "preventive protection" of a suspended case. We take pride in combining functionality with simple, elegant design and meticulous craftsmanship. Our cases and bags are equally at home in the field and in the boardroom.